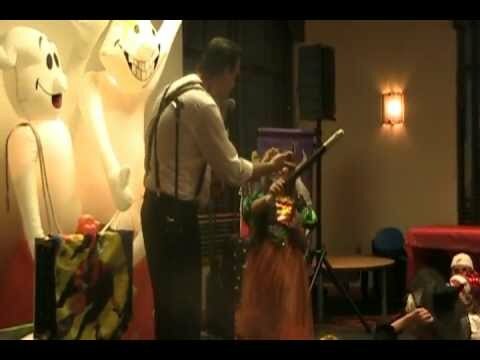 Gordon’s spook-tacular 45 minute performance is equipped with a professional sound system, spooky music, magical monster props and a wealth of experience entertaining boys and ghouls from coast to ghost. 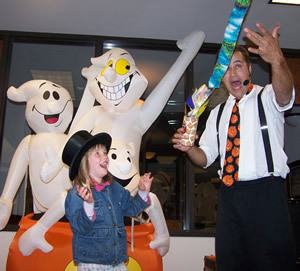 The Spooky Monster Magic Show is truly one-of-a-kind, combining fast-paced fun with lots of audience participation. Perfect for your Halloween event! This kids friendly show is equipped with a professional sound system, fun music, spooky monster magic, and a 100% satisfaction guarantee. Your show was the best I have seen in the nine years I have been working at the Allen Park Recreation Department!